This year attendees at the two day event had exclusive access to over 300 exhibitors and over 250 exclusive seminar sessions, including an incredible opening day one keynote from legendary astronaut, Chris Hadfield. The former commander of the International Space Station regaled the audience with tales of his time orbiting the earth and left a strong message on the importance of collaboration. Other popular seminars at IP EXPO Europe 2018, co-located at Digital Transformation EXPO, included sessions from Andrew Keen, author and commentator on the digital revolution, on how to realise the benefits promised of the digital revolution; Dr Hannah Fry, BBC presenter and UCL mathematics lecturer, who discussed how to be human in an age of machine algorithms; Mayank Prakash from the Department for Work and Pensions, who shared his experience delivering the departments digital transformation; Carla Echevarria of Google, who covered how threats from AI don’t come from malicious machines but those that create them. 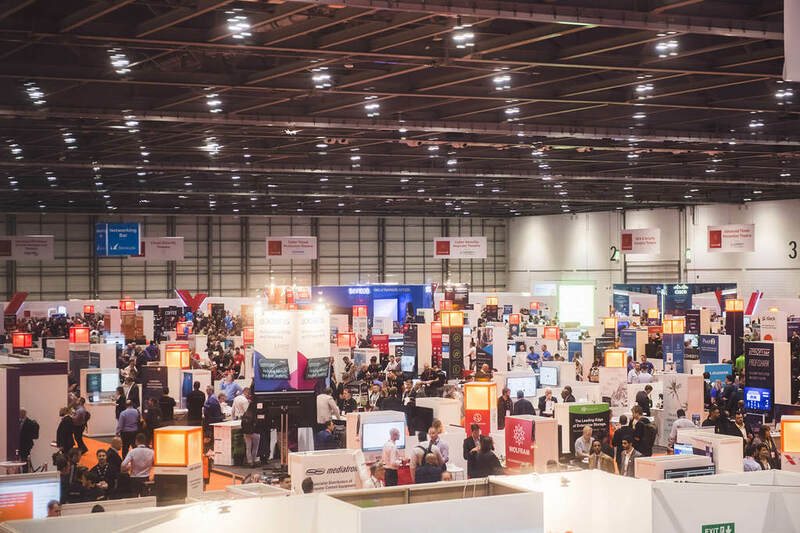 IP EXPO Europe will return next year as part of Digital Transformation EXPO at ExCeL London from 9-10 October 2019. The new two day event will provide attendees with access to the latest technology vendors have to offer, along with exclusive seminar sessions, with some of the industry’s most influential and inspiring individuals. Digital Transformation EXPO will feature six sub events under one roof, including IP EXPO - which will cover cloud, networks and infrastructure, Cyber Security X, Developer X, AI-Analytics-X, Internet of Things-X and Blockchain-X. IP EXPO Europe co-located at Digital Transformation EXPO is Europe’s number one enterprise IT event. With six top IT events under ONE roof, 300+ exhibitors and 250+ seminar sessions, IP EXPO Europe is the must-attend IT event of the year for CIOs, heads of IT, security specialists, heads of insight and tech experts. The event showcases brand new exclusive content and senior level insights from across the industry, as well as unveiling the latest developments in IT. IP EXPO Europe, co-located at Digital Transformation EXPO, now incorporates IP EXPO, Cyber Security X, Developer X, AI-Analytics X, Internet of Things X and Blockchain X.